McLaren Macomb-Sterling Hts Pediatrics&Family Med (Sterling Heights) - Book Appointment Online! 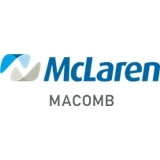 McLaren Macomb-Sterling Heights Pediatrics and Family Medicine offers comprehensive care for the entire family, from infants to adults, in one convenient location. Our physicians and office staff make it our priority to create open and honest relationships with each of our patients to achieve optimum health. The clinic is continually recognized as a leader in the community for achieving high immunization coverage levels by the Michigan Community Department of Health. Dr. P. has been our pediatrician since my daughter was two (she's on the verge of 11 now). She is always very thorough with her answers, never seems bothered or annoyed with our questions, takes her time and never makes us feel rushed in our visit. She always gives us great advice (when medicine is not needed) and we feel as though she truly cares. I felt right at home at Dr. Baker's office. All medical professionals that worked along side her were proficient and experienced. They also made me feel very comfortable. Dr. Baker herself was also very professional, and personable which made me feel very good about future visits. I would highly recommend seeing her!